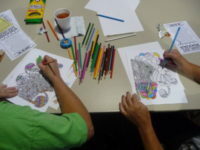 East Hills Library: Come to our Adult Coloring and More night to relax and unwind. If coloring isn’t your thing, enjoy some of the other options available such as seek-and-finds and dot-to-dot pages. Supplies and light refreshments are provided. For more information contact the East Hills Library at 236-2136.